So, you have a website for your business and it looks amazing, you’re just now sitting patiently waiting for all those visitors to come and buy your stuff. 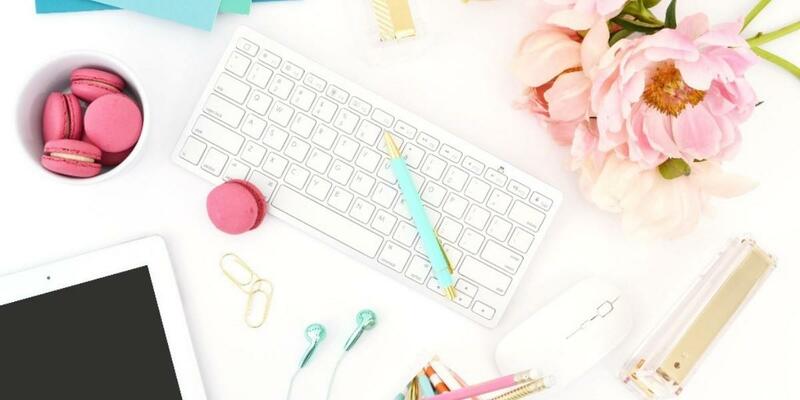 You’ve posted on social media, told everyone you know, and you have had some traffic, but you have also heard of this magic thing called SEO and if you put a few keywords on your site you will get an instant rush of traffic. Unfortunately, it doesn’t happen like that, there’s quite a lot more to SEO than keywords but it is certainly a good place to start! The biggest problem people have with keywords is actually choosing them. Most people choose far too broad keywords and spend countless hours optimising their site for these keywords – keywords they will most likely never get found for, so all in all a great big waste of time. Company names like Avon or Forever Living or industry sectors such as web design or coach are dominated in the search engines by the big companies and major players, who have specialist teams working on their SEO for them. It is very unlikely that a small company would pop up in those rankings - unlikely, but not impossible mind! – it would just need a HUGE amount of work. Keywords are words you use throughout your website, pages, posts and products then give the search engines a little nudge to what you want to be found for in the search results. So, when a potential customer is searching Google looking for exactly what it is you offer, they type in a question or phrase and hey presto! your site pops up in the results. Now, just because you use a keyword on your page, for example, that doesn’t automatically mean that you will pop up as number one on the search results for that phrase. There’s a few other aspects that Google likes to take into account such as how much traffic your site gets, how relevant the page is to that term, your domain and page authority, backlinks to that page and so on. But understanding how keywords work and choosing the right keywords to use get you started on that road to success! This is the biggest misconception that I see when helping people with their SEO. Business Owners tend to think that the word keyword means just one word - it’s quite deceiving! Basically, a keyword is phrase that, as I mentioned before, someone types into Google when they are looking for an answer or solution. People rarely type in things like VA or Accountant they are more likely to type in the search box something like 'VA specialising in female businesses' or 'Accountant in South Wales'. Think about it like this, have you ever been looking at buying a new car and typed in the word car into Google? No, me neither! You would type in something far more specific like 'Ford Focus local to Cardiff' or 'Audi A3, diesel in red'. You need to put yourself in your potential customers shoes, if they were looking for what you offer, what would they be typing into Google? This is where knowing your niche and target customer come into play and is essential work before even beginning to think about choosing keywords. 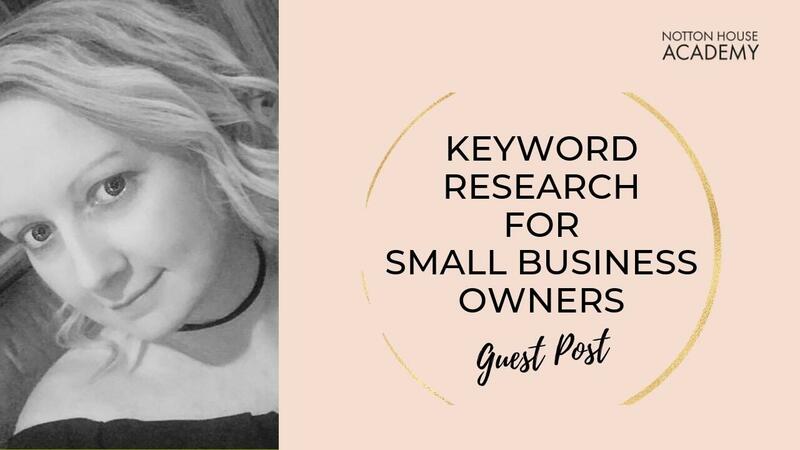 Having your own little niche within a bigger industry is great when choosing keywords, as is knowing exactly how your target customer thinks and speaks as it helps you guess what they will type into that magic search box. The first thing I suggest is sitting down and writing a list of everything that comes to mind when thinking about your business. For example, being in the website support industry the things that come to mind straight away for my business are website support, website design, Wordpress, membership sites and online courses – all very general things and far too broad. 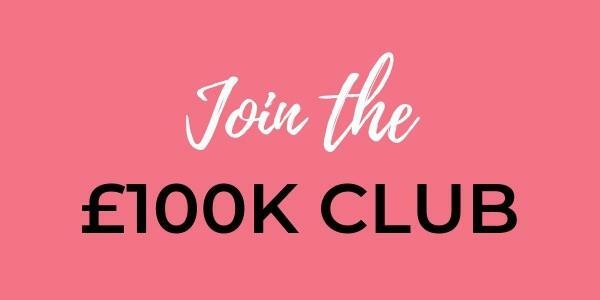 But let’s think a little more about my target audience – female entrepreneurs, mainly coaches so I can start to expand on this list then with things like ‘website support for the coaching industry’, ‘feminine web design’. Get the picture? Don’t overthink this, just write down everything that comes to mind. Now, if you get stuck think of ways that your product or service can help people. Also remember that people may not have heard of what you are offering, or they don’t know the solution they are searching for, so they may just type in their problem instead. For example a person may not type in mindfulness coaching but they may type in something like ‘how can I deal with my anxiety’ or even ‘how can I live in the moment'. Hopefully this is making a bit more sense now and you have quite a few pages of ideas! Still stuck? All is not lost! If we go on over to KWFinder we can type in a search term, this can be however broad you like as it’s going to suggest other keywords for us. You can also choose a country to target and a language. For this example I am just going to use the keyword ‘website help’. There is quite a bit of information on there and I have sorted it by Search, so that the highest number comes up first. Column 2: the trend, so you can see if it becomes less or more popular during the year. Column 6: this is keyword difficulty (how hard it is to get found in Google for that keyword). Now, as I mentioned before, I have sorted the list by search volume so that you can see that the most searched for, and quite broad terms have the highest difficulty levels. If you go to the other side of the page you will also see more of a breakdown of that keyword – it’s difficulty level, the trends and also who is currently showing in the top ten for that keyword (so you can see if you are competing against any of the big players). 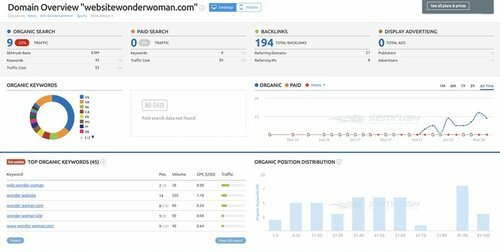 What you are really looking for is that keywords that have a high search volume and a low difficulty level, preferably 30 and under but definitely under 50. Scrolling through this list you may also find suggestions you hadn’t thought of and if you click the little arrow next to the suggestion you can also search for other keywords related to that term. You can also star any suggestions you want to keep and then add them to a list that you can export. Another website is Moz, which offers a number of different paid options but also some free tools. Again we are going to use the Keyword Explorer and type in ‘website help’. As you can see we have quite similar findings, so monthly search volume, difficulty, other keyword suggestions etc. You can also learn more about each section to build up a bigger picture and by using both websites you should be able to get a pretty good list of keywords to use on your site. This is an underused tool but can help you to get a better feel for how your site is currently pulling in visitors and what keywords they are using. You need to sign up for a free account first and verify it with your website. Give it about a month or so to start collecting data and then you will find you have a goldmine of information right there for you! 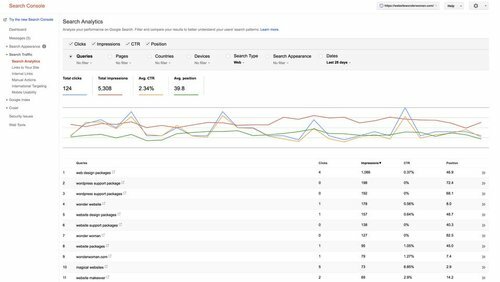 If you click Search Traffic then search analytics (I also like to tick the four boxes at the top – Clicks, Impressions, CTR and Position) you get a lovely list of all the terms that your website has been ranked for. Now you can see exactly how visitors are getting through to your website and give you even more ideas! The best bit is that they are already finding your website for these search terms - so you should be including the best keywords on your site. 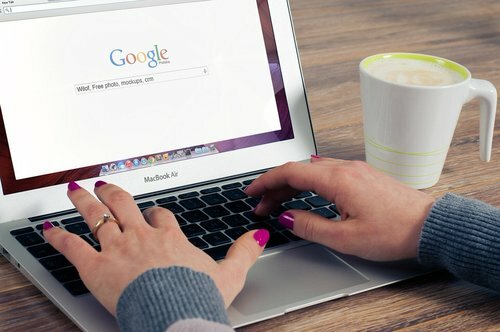 Be sure to make these pages and blog posts far more relevant, to be sure that your visitor stays and finds value – thus boosting your credibility with Google. Google Search Console can help with researching the best keywords for your website too! As if you didn’t have enough keywords already but let’s just add in one more way to find keywords – let’s look at what our competitors are doing and what keywords they use! There are another two websites that we can use for this and like before they give us similar information that we can delve into further. 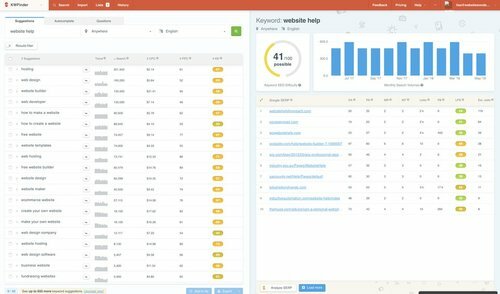 The first site is SEMRush and if we type in the website address of a competitor (I’ve used my own just as an example) then we can see a whole host of information from what keywords they are ranking for, to who their competitors are and who is linking to them. 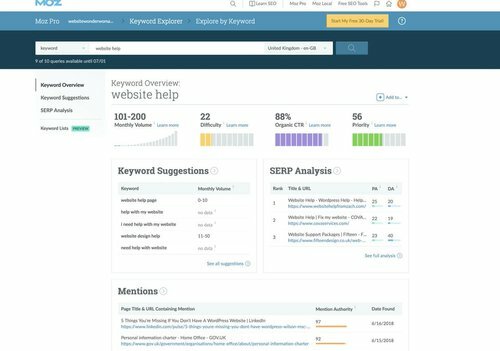 SEMRush is great for researching your competitors keywords! SpyFu is also very similar and by using the both sites you can certainly add to your keyword list. One last way to research your competitors keywords is a sneaky little tip to look at the page source of their website. Go into your browser (I use Google Chrome) and right click on any page and click Page Source. This then gives you a page full of code. Now, don’t panic you don’t need to understand it all you need to do is scan the page (or use the find function and search for keyword) and look for a list of keywords. When specified on a page or post this is usually also written in the source code so you can see what keywords they are actually using for each page or blog post. Now that you have your list you will want to trim it down as you have probably got quite a number of keywords by now. The best thing to do is make a list of all your pages, blog posts, products, services etc on your website and assign at least one keyword to each. If you do have more than one then mark one as the primary keyword, which you will use as the main focus keyword of that page. You can weave the others into your copy but keep it focused on your primary keyword for best results. Any leftover keywords can then be the focus of future pages and posts on your site as you now have more of an idea of what your potential customers are looking for. If you have a Wordpress site, you can use plugins such as Yoast SEO or All in One SEO which enable you to put in your focus keyword and gives you advice on how to best optimise your page for your keywords. If you have your list ready this will now be easy work as you already have a primary keyword for each page! There are also similar options for other types of websites that enable you to enter focus keywords. It may have taken you some time to gather all these keywords but think of it as time better spent rather than spending hours optimising your site for keywords that are never going to work for you and your business. Good luck and happy keyword finding! Lisa Rees is the Website Wonder Woman for female entrepreneurs stuck with the tech side of building an online business. Helping them take over the ‘World Wide Web’ with website design, support and training.